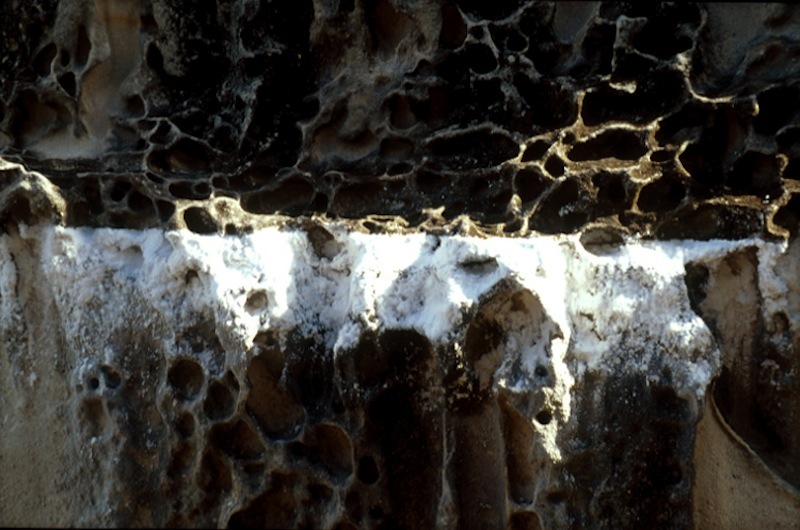 My first installation – it won a prize at Sculpture by the Sea, Bondi (thanks to judges Tom Arthur, Edmund Capon, Jim Croke). 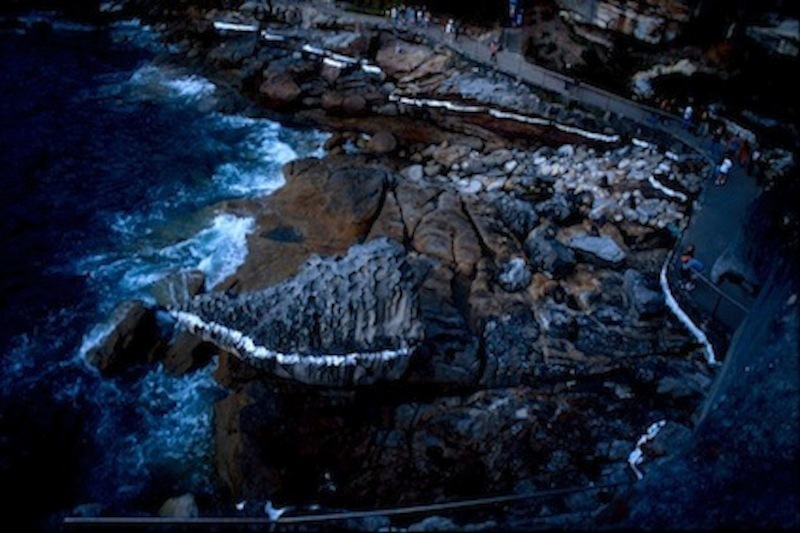 I spent the duration of the exhibition creating this salt line along the Bondi to Bronte cliffs above the rock platform, beginning at the Bondi end. After 8 days it rained and most of the line washed away, but I was so skilled by then that it was up again in no time and I managed to extend it right around the cove and out towards the headland. 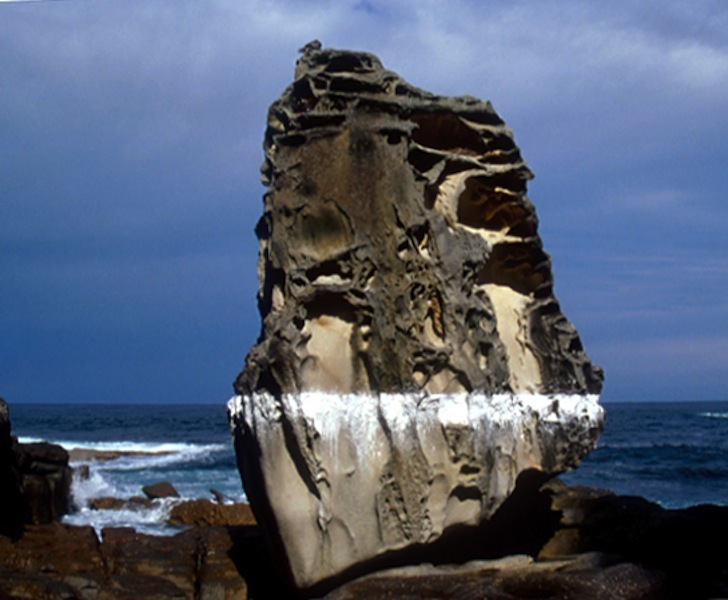 Another artist’s work initially occupied the huge freestanding rock in the middle of the cove, but it blew off early on and a few days later I was given permission to include the rock.